Offering quality customer service is a key factor for winning brand loyalty for your small business. Read on for the best tools and techniques to ensure your customer service is responsive, streamlined and successful. You don’t need a huge marketing firm to research your customers’ needs. Instead, use a tool like SurveyMonkey to build and send free surveys to your target audience and ask about their satisfaction, problems, or desires. Send a product feedback survey to develop social media strategies and measure brand awareness. Use positive feedback as a marketing tool to create credible testimonials. To diagnose and solve customer service roadblocks, business leaders need to spend time with customers and the employees who serve them directly. Take note of any problems or frustrations that come up repeatedly and how they are addressed. Most often, the root of the problem is territorialism and misaligned goals. Research conducted by Gallup suggests that building customer confidence and loyalty starts with the culture of the company’s employees. If cashiers and salespeople treat customers with fairness and respect, the customers’ belief in your brand’s integrity will grow. Empower your employees to make decisions consistent with the company’s commitment to customer service, like offering a free upgrade when something goes wrong. When problems inevitably arise, use them as opportunities to prove your company’s eagerness to please customers. A swift and thorough resolution can often convert a lukewarm customer into a passionate brand loyalist, according to Gallup. In some cases, quick and effective resolutions can leave customers even more satisfied than if a problem never arose. For example, Southwest Airlines’ customers are more loyal than other airline customers because Southwest effectively deals with problems 77% of the time. In contrast, the four largest airlines only achieved 50%. 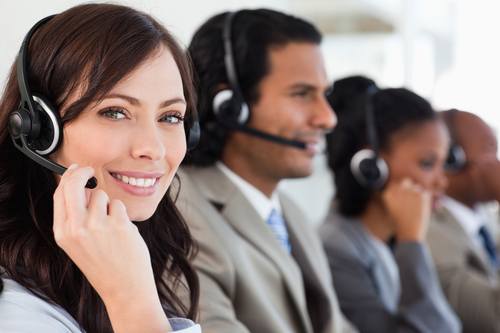 The right customer service interface can help you provide better customer support, collect data, chat and connect with customers. Forbes recommends Zendesk to streamline customer service response times. Most importantly, Zendesk’s solution can be tailored to your business’ needs and has the flexibility to grow as you grow. E-Bay and Etsy are ideal for selling products, but they lack the kind of brand recognition and customization that your online store could provide. Consider using e-commerce software like Shopify to help you build your online store, manage payment with dozens of options, fulfill orders, and track sales. Make your business more accessible and credible with toll-free numbers. Create branded and customized toll-free numbers, allowing callers to access your customer service providers free of charge. Automate the process to ensure callers can get in touch with the right person quickly and easily by transferring calls to another phone line when needed.